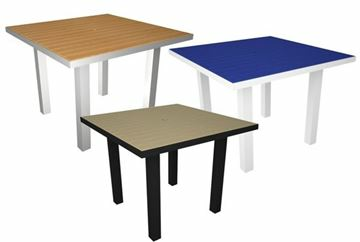 Our commercial patio dining tables feature many table sizes and styles with beautiful colored tops that come in acrylic, laminate, punched aluminum, and faux granite. 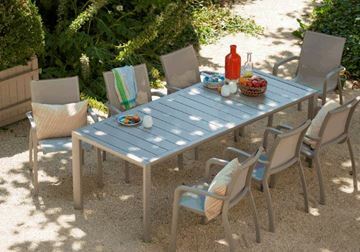 Poolside dining tables are easy to clean and made to last for years with minimum maintenance in year-round exposure. 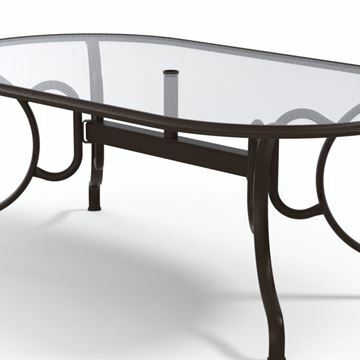 Create your own outdoor patio dining set by choosing from our many models of pool deck tables and chairs or buy a complete matching outdoor dining set. 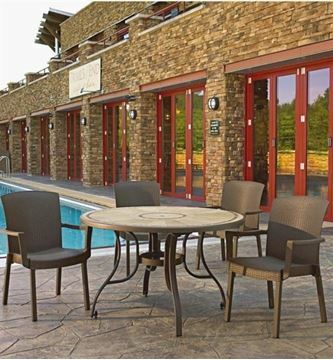 We sell dining tables and chairs made from the leading pool furniture manufacturers for commercial use to compliment your resort, Water Park, community pool, or apartment complex. Toscana 47 Inch Round Dining Table Plastic Resin, 25 lbs. 24" Round Spritz Pool Dining or Side Table, Plastic Resin, 9 lbs. 24” x 32” Melamine Table Top with Resin or Aluminum Base. 31" Square Clip Plastic Resin Dining Table by Nardi, 26.6 lbs. 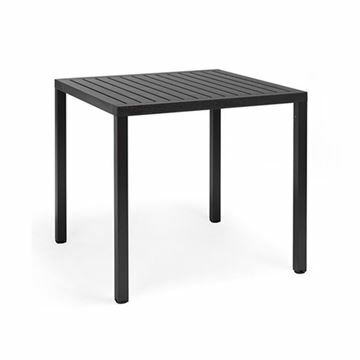 31" Square Cube Plastic Resin Dining Table by Nardi, 26.6 lbs. 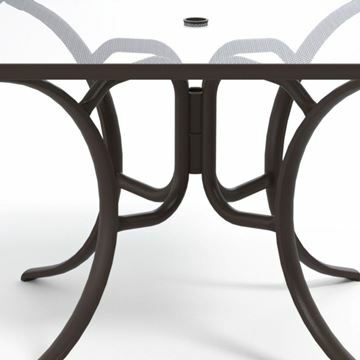 Sunset 36” Square Dining Height Table with Umbrella Hole, 52 lbs. Atlanta 32” Square Pedestal Table with Umbrella Hole, 38 lbs. Toscana 48” Round Table with Metal Legs, 45 lbs. Sunset 42” Round Dining Height Table with Umbrella Hole, 51 lbs. 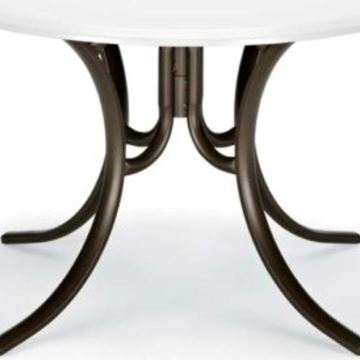 Atlanta 36” Square Pedestal Table with Umbrella Hole, 46 lbs. Atlanta 42” Round Pedestal Table with Umbrella Hole, 46 lbs. 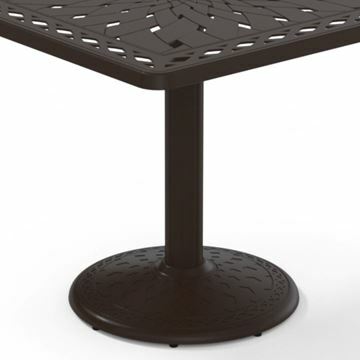 Sunset 48” Round Dining Height Table with Umbrella Hole, 59 lbs. 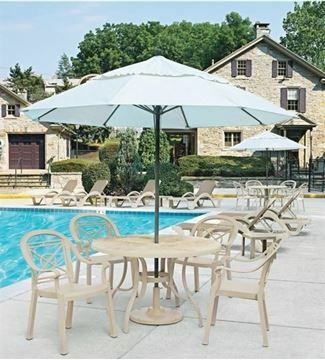 Atlanta 48” x 32” Pedestal Table with Umbrella Hole, 51 lbs. 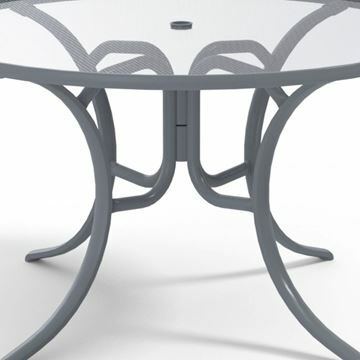 Round 42" Marine Grade Polymer Dining Table with Aluminum Frame, 45 lbs. Round 42" Pool Side Dining Table Mayan Style Punched Aluminum. 48 lbs. 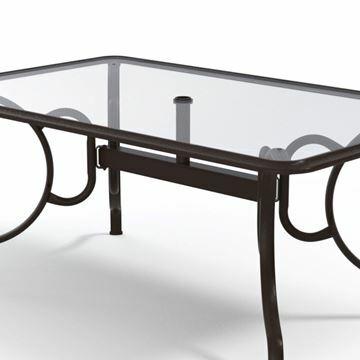 Sunset 86” x 35" Rectangular Aluminum Dining Table, 66 lbs. Commercial Marine Grade Polymer 30" x 60" Oval Dining Table with Aluminum Frame, 75lbs. Commercial Marine Grade Polymer 30" x 60" Rectangular Dining Table with Aluminum Frame, 85 lbs. Telescope 42" Acrylic Round Dining Height Table w/ Umbrella Hole, 34 lbs. 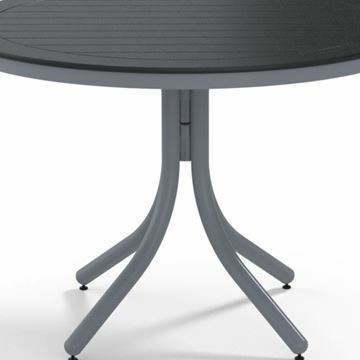 Telescope 42" Marine Grade Polymer Round Dining Height Table w/ Umbrella Hole, 34 lbs. 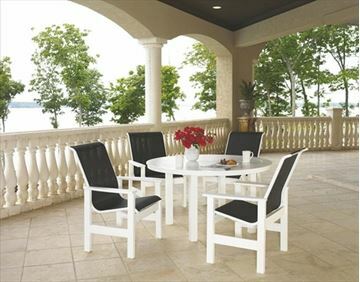 Telescope Reliance Patio Set Includes 4 Vinyl Strap Chairs and a 42 Inch Round tempered Acrylic Table with an Umbrella hole. What types of table tops are offered? Fiberglass – Strong, durable material that is cost-efficient and easy to clean. Acrylic – A safer alternative to glass while still maintaining a translucent surface. Unlike glass, acrylic tops are much lighter and will not shatter. 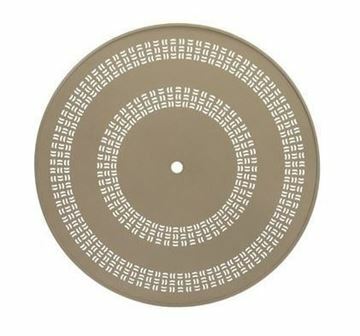 Punched Aluminum – Designed with mesmerizing hole punched patterns in a robust powder-coated aluminum frame. 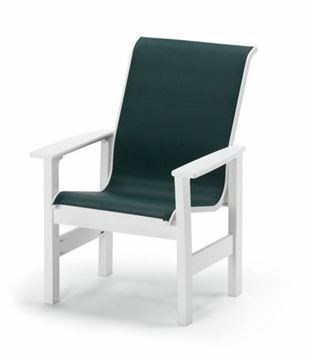 Recycled Plastic – Repurposed HDPE lumber that often has a slatted style. Faux Stone – Looks like stone, but without the high cost and heavyweight. Melamine – Water and heat resistant, lightweight top that comes in decorative patterns.